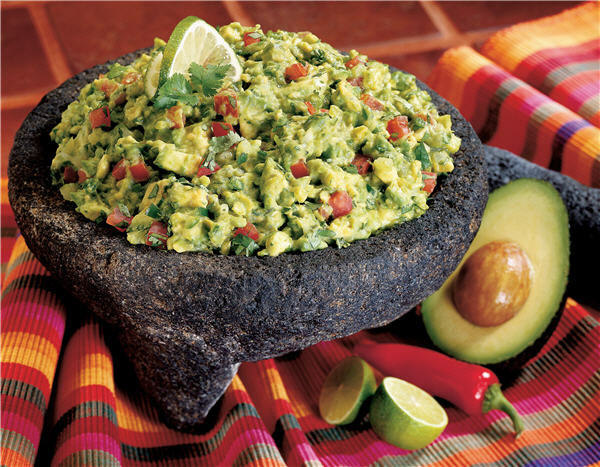 Does this bowl of guac make me look fat? BBC online gives us a short list of medical myths. * I’ve been saying for a long time (to disbelieving parents) that it’s a myth that sugar makes kids hyperactive. Gee, your kid is all crazy after eating birthday cake? Surprise, he was at a birthday party with clowns and rides and games and lots of other screaming kids. Note also that when parents have been told (true or not) that the kids have had sugar, they rate their children’s behavior as being more active. * I’m also interested in the myth that nighttime eating causes weight gain. Everyone says that it does, but it never made sense to me. Math is simple. The more calories you eat, the more calories you have to burn. I don’t see how it matters when you eat them. I think the nighttime eating thing is supposed to be all about your metabolism. Going to bed a little hungry is supposed to raise your metabolic rate while you sleep, letting your burn a few more calories while sleeping. Also, something that seems inarguable is that you wake up hungry for breakfast, which is supposed to be your largest meal of the day. I’m just saying this is the theory. I think it makes sense if you accept that there are times when your body is at rest and still burning more calories than at other times. It’s always seemed odd to me that the goal is to have a fast metabolism, which means burning more calories while just sitting around, which is less efficient than a really slow metabolism that doesn’t waste energy when it’s not necessary. Maybe the trade off with that high metabolism is a greater capacity for effort or something. I never heard that bit about the nighttime metabolism thing. I always heard what’s in the article, which is that you don’t burn those calories because you’re sleeping. Anyway, it’s my understanding that eating raises your metabolism, so that theory also doesn’t make sense to me. Breakfast is supposed to be a nourishing meal, but not for weight loss, I don’t think. Is it? If so, than that’s probably because eating breakfast raises your metabolism! As far as it seeming inefficient to have a fast metabolism, of course, you’re right. The goal, if you’re trying to lose weight, is to be inefficient. You want to burn more fuel than you really need to burn. You want to run for 30 minutes without actually getting anywhere, for example, solely to burn fuel. If someone did this with a car, we’d call him crazy. But then, a car with a full tank doesn’t get laughed at in gym class. If you’re not trying to lose weight, then I don’t think a fast metabolism is better than a slow one, or more of a goal. I’d guess that it’s just a byproduct (or indicator) of being well-muscled and getting plenty of exercise. Well it is definitely true that we burn calories while sleeping. Being unconscious doesn’t stop your body from using energy. So if you go to bed hungry, maybe it’s just that you don’t have to experience those 8 hours of hunger while your body burns fat instead of food? The point is, I think, that we burn FEWER when we’re inactive (sleeping) than when we’re active. But the myth that I’ve always heard, and that the article addresses, is this thing about not eating at that time due to burning less when sleeping (see this thread).